Interior doors, moulding, lock sets, stair parts, railings and decking are now being offered online from B&B Custom Trim Inc. If you are looking for screen doors, trim work, PVC railings, vinyl railing, custom moulding or interior replacement doors we can help! 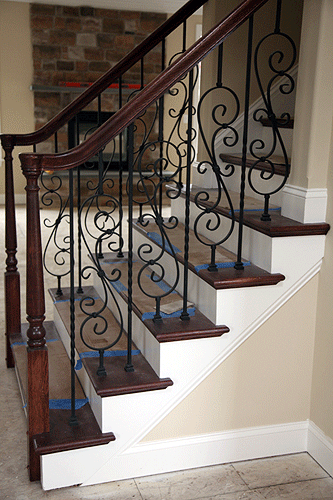 Serving the, Lancaster, Lebanon, Hershey and York Pa areas, we work with our clients to help them in every step of creating beautiful doorways, staircases and decks for their homes. If you have a need to redecorate, rebuild or simply just want something new to make your yard and home a haven of relaxation for the upcoming spring contact us today! We carry a wide variety of woods, mouldings, materials and can even customize a look to suit your home. If you need replacement moulding for the interior and need a match to what you currently have, we can help with that as well. Truly a unique company, B&B Custom Trim Inc, can help you to find the right interior doors, moulding, lock sets, stair parts, railings and decking to make your home look its best! We carry many materials and styles of trim work, can match current trim for damage replacement and also carry PVC and vinyl railings, custom mouldings and interior replacement doors. 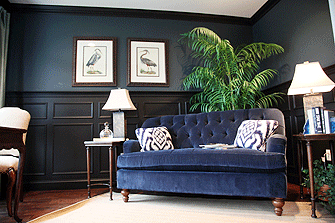 B & B's Custom Trim Inc was established by partners Tom Black and Brian Bortner in 1997 as a trim installation company employing two trimmers to provide quality driven interior trim work. From this humble beginning we have expanded to 20 skilled interior trim carpenters providing quality installation of all interior trim materials such as crown molding, chair rail, pre-hung doors, columns, baseboard and handrails just to name a few. 2005 saw the expansion of B & B's Custom Trim Inc into the exterior market. Bringing the same quality to this area of our business we employed and trained an exterior crew to build decks, fencing, porches and railing. Our crew is equally skilled in working with traditional treated materials as well as the new composite materials which provides a long lasting, ease of maintenance finished product. Since inception, Tom and Brian wanted to address the issue of materials not being on the job site when the work was scheduled to be done. As a result in 2006 they addressed this problem by developing the supply division of B & B's Custom Trim Inc. By controlling materials handling we are able to save our customers job costs for unnecessary return trips due to missing materials. This ability to control materials flow results in us being very competitive for the homeowner. 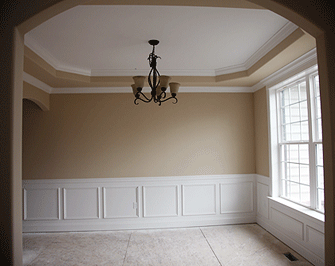 We now supply all interior and exterior trim materials as well as quality pre-hung doors of many styles. 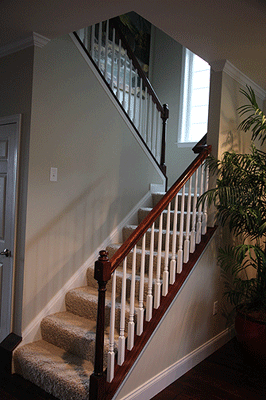 The next step came in 2009 when we brought our expertise to the home remodeling market. With the supply of quality materials and the highly skilled trim carpenters, both interior and exterior, to complete the work we are able to bid your job at a very competitive price that won't break your budget. Over the past 13 years we here at B & B's Custom Trim Inc have always strived to provide you the customer the highest quality in workmanship and materials at a very competitive price which will save costs in completing your project on time and on budget.